High blood pressure is known as the “silent killer” for a good reason. It occurs so gradually over time that you may not even realize the impact it’s having on your body. Worse yet, high blood pressure rarely causes obvious symptoms until they are life threatening. The best way to protect yourself from high blood pressure is to be proactive. Just one simple test is all it takes to determine your blood pressure and start making the changes needed to improve your health. You may be surprised to learn that blood pressure threatens adults of all ages, not just older men and women. In fact, one in four men and one in five women in their 30s and 40s have high blood pressure. Experts are concerned that the increased rate of strokes among young people is directly correlated to high blood pressure that develops as a result of obesity and diabetes. Since checking your blood pressure is just as simple as taking your temperature, it’s very easy to check it regularly and remain alert for any problems. Statistics show that 11 million Americans are living unknowingly with high blood pressure. This means that 11 million Americans also don’t know other critical cardiovascular information like lipid profile or blood count. A cardiac risk and heart health panel provides all of this information to help you prevent heart disease in the future. The six tests completed in this panel identify everything from cholesterol and homocysteine to lipoproteins. You can use the results to determine your risk of heart disease and seek medical attention accordingly. High blood pressure also becomes a serious threat during pregnancy. Women with uncontrolled blood pressure are far more likely to experience complications during those nine months. In particular, high blood pressure is known to harm a mother’s kidneys and other organs. Even the baby can suffer from low birth weight and early delivery. This is why regular doctor appointments are so important through the duration of pregnancy. Healthy lifestyle habits can reverse the majority of high blood pressure problems that Americans currently face, and medical attention can alleviate the rest. 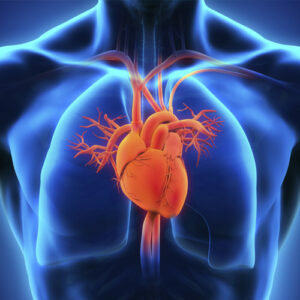 If you want to live a longer, healthier life, don’t wait another day to have the proper heart health tests completed. Why Are You Suffering From Daily Fatigue?